As the third largest city in the province, the Prince Albert trading area draws over 150,000 people. With an average household income of $91,725 there is plenty of people to keep the estimated 1.2 million square feet of retail inventory healthy. The average vacancy rate for retail property in this community is 3.96 per cent. Prince Albert serves as not only a regional hub but as a gateway to the north. Development has been brisk within the city averaging an investment of $78 million a year in building permits over the past five years. Drawing from a trading area of 60,000 people, the city of Moose Jaw is home to many new retailers including Original Joe’s, Brown’s Social House and Rock Creek. Alberta Venture magazine has shortlisted Moose Jaw as one of the best 25 communities outside of Alberta to do business in crediting the new $4.25 billion K+S Potash mine and the City’s aggressive tax policies in luring business. Construction is currently underway for 70,000 square feet of commercial space in the $27 million Civic Centre Plaza. Many national retailers already call Moose Jaw home including Walmart, Superstore, Staples, Mark’s Work Warehouse and others. The Border City has benefitted from the oil and gas industry for several decades. With a trading area of 160,000 people, the city of Lloydminster continues to expand and welcome new business. The majority of the retail inventory is located on 44th St also known as the TransCanada Highway. It runs through the community fully east to west, connecting the Saskatchewan and Alberta sides. Yorkton covers a trading area of 1,400 square miles serving over 150,000 people. There are three major shopping malls and big box tenancies such as Walmart, Canadian Tire, Staples and the Brick. 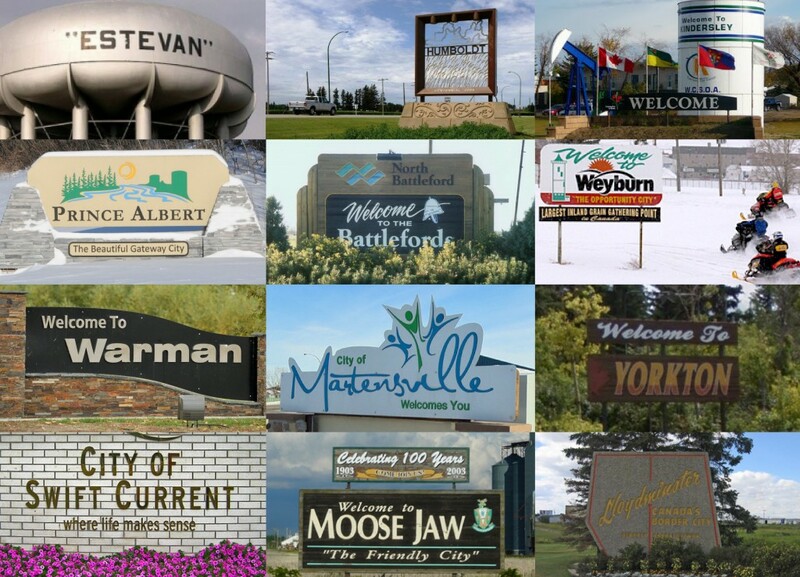 A diversified community, over 1,000 businesses call Yorkton home. Industry includes manufacturing, food processing, construction, cultural, professional, scientific and technical, retail, education, healthcare and administrative sectors. North Battleford sits at a desirable 4 per cent vacancy for retail property with new and existing retailers such Canadian Tire, Boston Pizza, Staples and Walmart investing in the community. The city is well situated along the Yellowhead Highway to experience further growth in their trading are of 62,000 people. As one of the fastest growing centres in the province, North Battleford should experience strong job opportunities with a number of key projects occurring in the area. Like many of the secondary markets, Swift Current enjoys a low retail vacancy rate making it attractive to developers. Retailers such as Canadian Tire, Walmart and Pharmasave have already set up established stores alongside other retail users within a tight 4 per cent vacancy rate. Significant oil activity stretches out in all directions from Swift Current, which draws from a trading area of 55,000 people. The last population counts saw Swift Current experience a 5.2 per cent increase in people over a three year term; that averages 1.73 per cent a year, whereas the national average was 1.1 per cent. Estevan boasts the lowest unemployment rate in the province. As a regional center, the community services a trading area of 30,000 people. The average family income is a staggering 114 per cent higher than the national average, at $143,460 a year. Projected retails sales in the city are estimated to reach $396 million in 2014. One of Saskatoon’s nearby bedroom communities, Martensville is standing strong on its own with a trading area of 30,000 people to draw upon. The city is strategically located minutes away from the province’s largest airport in Saskatoon. The community is experiencing approximately 6-10 per cent growth annually which is drawing in retailers like Tim Hortons, Pharmasave, Canadian Tire, and Dairy Queen. Martensville is also home to the province’s first RV mall in developing Northlands Business Park. Neighbouring Warman is the second of Saskatoon’s most successful bedroom communities. A young city, Warman is just 31 years old but services approximately 30,000 people within its trading area. Local development has been brisk with a new facility that includes: a 1,400 seat arena, multi-purpose fields, fitness centre, sports medicine facility, childcare services, food services, community theatre and integrated library. Warman’s 30 acre shopping complex, StoneGate, starts construction in 2015. Over $175 million is planned in capital projects over the next 15 years in Weyburn. As a choice centre for regional head office, the community supports a trading area of 30,000 people. National retailers such as Boston Pizza and Tim Horton have long since set up in Weyburn. The City of Weyburn has plans in motion to double its population over the next 20 years. The resource development enjoyed by nearby Estevan does reach up to Weyburn along with advances in the agriculture industry. Boasting all the amenities of a large centre within a small town atmosphere, Humboldt is one of Saskatchewan’s most progressive and prosperous communities with strong agriculture and resource based industries. A trading area of 30,000 people encompasses Humboldt. The mining sector has certainly benefitted Humboldt and area with the Lanigan Potash Corp mine and BHP Billiton’s investment in the Jansen mine nearby. A strong market with 5 per cent vacancy rates has made Humboldt a great home for retailers like Boston Pizza, Tim Hortons and Canadian Tire. Kindersley is the urban centre of the west central portion of Saskatchewan, acting as a hub for a trading area of 28,000 people. Long standing oil, gas and agricultural industries have kept Kindersley buzzing economically for decades. Hotel capacity has doubled within the past two years. This is in addition to the development of 115 acres of mixed residential use and commercial development which will accommodate additional growth of up to 3,000 residents. Might want to correct your Weyburn population #s… looks like you used only half the actual value? Thanks for the heads up, Cory. We had the right number elsewhere and have updated!